I have become unwell with stress and the demands at work, and changes there have had a detrimental impact on my health. I am off work and feel worse than ever. The struggle and endless worry has added to the already fragile situation. Rent, council tax, gas, electricity, food, phone etc. I was unable to pay my rent due to the reduction in pay. Sick Pay is £92.05 per week. This left me facing eviction. If only there was a way to get things in motion when someone becomes ill. 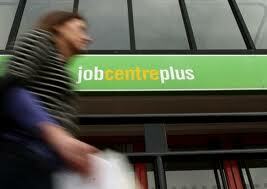 This is a blog about unemployment and jobseeking, and the difficulties surrounding it. I thought I’d add a little to this blog about employment and sickness too. I can’t stretch the sick pay far enough. I can’t deal with going to the council and endless forms, can’t tell service provider why I can’t pay this month, other than because I have no money. So I close my eyes instead and hope it goes away. My Gp has at least been good. Constant letters from my employer, demanding meetings with a few days notice, always adding I face disciplinary action if I don’t attend. Demands about bills, knocks at the door. I have an illness what affects my mental health at the minute, and that makes it more difficult to explain to anyone. Guilt is another pressure, my absence has caused people I work with issues-I have been told. My reasons for being off are questioned by my employer, despite my Doctor providing a certificate. I hadn’t ever imagined that becoming ill would create such a huge impact on my life, yet it has. What makes it worse, is that my job involves helping people in similar situations, yet there is no advice service I can access myself. There is little or no help out there for people. I feel alone and vulnerable. In work there is some sort of stability, yet sickness when least able to cope is when people need help. Hi, well I have not updated my blog for some time. I am happy to say that I have just found out I have my job for another year, yes still working. Its very sad to see many companies and factories where I live continue to lay staff off, close or make staff redundant. I understand people still struggle daily-living hand to mouth and continue to search tirelessly in their search for employment. The Job Centre continues to be less like a place to find work, and more of a hindrance for people facing dread upon entering the place, and staff there are under pressure to meet targets with sanctions etc for those on Job Seekers Allowance. Well I thought I had better just update my blog. My first post I was actually 36 years old and I have just had my 39th birthday.. I had realised that my job searching and experiences on here had become the same for anyone reading them as for me.. Not fruitful or differentiating very often..
Well I know that people do read this blog as I can see from the statistics..And I thank you for your comments and support along the way. I am in employment, doing what I love the most.. Helping and advising people. I have a contract for two years and as long as I be a good girl... ( I will ) and can get there on time :) then yes, two years. And who knows after that. There is a chance it may continue but the organisation I am working for relies on funding, so.... Yeah all is good at the minute. Anyway. I have been employed there just over a month and it is going well. I get paid this week and it does feel good. Don't get me wrong I am not under no illusion that the job market has improved , as it has not..And more and more I talk to people who are losing their jobs and sometimes for the first time having to seek help from the Government.. They are realising how hard this is-as not only they can not believe the lack of help but the stigma attached to it too. The judging and the shame people make you feel for this. So yeah, I had a call today from a radio station about a letter I wrote to the chancellor asking him what he expected people to cut back on when he was saying things about we all need to make cuts. They have asked will I give my opinion tomorrow... Errr yes of course I will. I had asked the chancellor did he think we should cut back on heating electricity food etc. As that is all some people pay for.. I never got a reply although there was some media coverage.. Anyway I am off to bed.. I was reminded today that there are people out there who look and also follow my Blog. People who are out there just trying to get on in this world. Consumed with demands and sometimes ridiculous requests from people. A few emails later it seemed they wanted my bank account details and access to it on a read only basis. So I could have money transferred into and moved on. I did a bit of my own research and found the address given was to let and the man's name was well known shall we say on the Internet. So anyway not much to say. I have been on this so called work programme for just over a month. I went in on Friday at 4pm and I saw the advisor who in fact is ok. I asked him if he knew of any vacancies he could point me to, he had one, it was for an Aldi in Mansfield, about 15 miles. They had a total of 50 vacancies in various areas. So he told me each advisor are to refer 3 people. That sounds not too bad yet, but then they are to meet up on Wednesday morning and they are going to take the job seekers there, still not too bad. But then oh-so what are the hours then ??? Well it is between 6am and 9pm flexible. So then I said to him how will people from here get there before 6am if they do not drive? He then said well that is the problem. There is no transport from Chesterfield to Mansfield until 06.30, we checked. And he said he has only put one person through for it who has transport as he did not think it right taking them along on Wednesday knowing that they could never get there themselves. Also he does have his own target to reach but sometimes facts and people do come before targets. The advisor is someone I actually know and as I have said before he knows about the job searching and courses and other stuff I am involved with and was happy with the information I gave him from the past month. He asks if there is anything I can think of which would be of use to me. He also asks if I have applied at the company he works for??? I have and got to stage 3, which was an hours telephone interview. I obviously did not get the job as that's why I am sat in front of him. I said that this job seeking stuff gets ridiculous and you can lose who you are, it drains you. It becomes your main focus. Well I told him I am wanting to learn how to play the guitar, I keep trying and he went away came back and brought me some papers from his first ever lesson, he spent about 10 mins talking to me about this and gave me a copy. Although I did not come away with any decent job vacancies, I came away feeling like me. Well I was just searching for the latest vacancies in this area and came across a job I recently went for. It wasn't that great, a customer service role but it was a job none the less. Well I had got myself an interview, researched the company and prepared well, and it seemed to go quite well so was hopeful. I fit the spec quite well. I found out I had not got it and although I asked for feedback, got none. So today when I was looking on line I saw the very same job in the same place put back on in the last day or so. It must not have worked out for whoever got it then. This made me think - as this is a mystery to me - as to why on earth people go for jobs, get them, and then it does not work out. So here I am still looking, and filling out endless forms etc. It is all very time consuming. I do not just apply for anything now though. I am a bit more selective and take a bit more time and care with the application process. The so called Work Programme. I went yesterday at 5 pm. It is a good way from me, I had a really busy day too. Here, there, everywhere and back again. Well I was lucky as my adviser is the exact same person who was my adviser at the other place I went to. I know him personally and he gives me some inside info sometimes, such as targets and case loads etc. He understood when I said I was not signing the release paper, the one which allows them to contact others and receive payment for me being on their programme. They get enough anyway. Without inventing things. He assured me it will not have a negative impact on me. As the release form is proving quite a useful piece of paper. It could be confusing I guess if you are not aware of all this, as they do bombard you with info and papers, about data protection and stuff, but then on the other hand by giving permission to them, it all goes out of the window. He knows about the campaigning and volunteer role I do, and is really good to have a chat to him. Anyway it was short and sweet. No looking at screens, and that nonsense. So, It may change next time I go, but until then all's well. No news on the job front, I have asked for feedback from the last one, but heard nothing. It's official, I am on the work programme. I am to expect a call within 48 hours from the company who is " Going to help me overcome barriers and aim to find me sustainable work"
I also found out today that for the last 6 month I was supposed to have had intense support from the job centre with two people. They said sorry but for some reason I was over looked. I have had a call from a local news paper today about all of this job seeking and stuff and I told her that although these things need highlighting I am fed up with people making on the back of this crap. ie her for her story, these agencies who are getting paid to so call help me, etc. This is my life, this is real and this is happening all over the place. Oh also, I found out today that these companies who have got big Government contracts (work programme) have access to available jobs that never get released to the bloody JOB CENTRE, so is that another reason people are struggling to find any then??? The letter I was talking about the other day, the one from an independent research company, with DWP on top, getting feedback about help I have received whilst looking for work. Well it said I would get a call. I am still waiting, so I rang them as I have loads of feedback. I was told it has not started yet, and I would be contacted in due course. As I was telling her I would like that, she apologised and said she had another call coming through, so put the phone down. Can you believe it. Hello, my name is Justine and I live in North East Derbyshire. I am 36 years old and looking for full time employment. Follow me through my quest in dealing with the agencies that are supposed to be helping me. Read about my feelings and experiences of unemployment. Gizza Job!